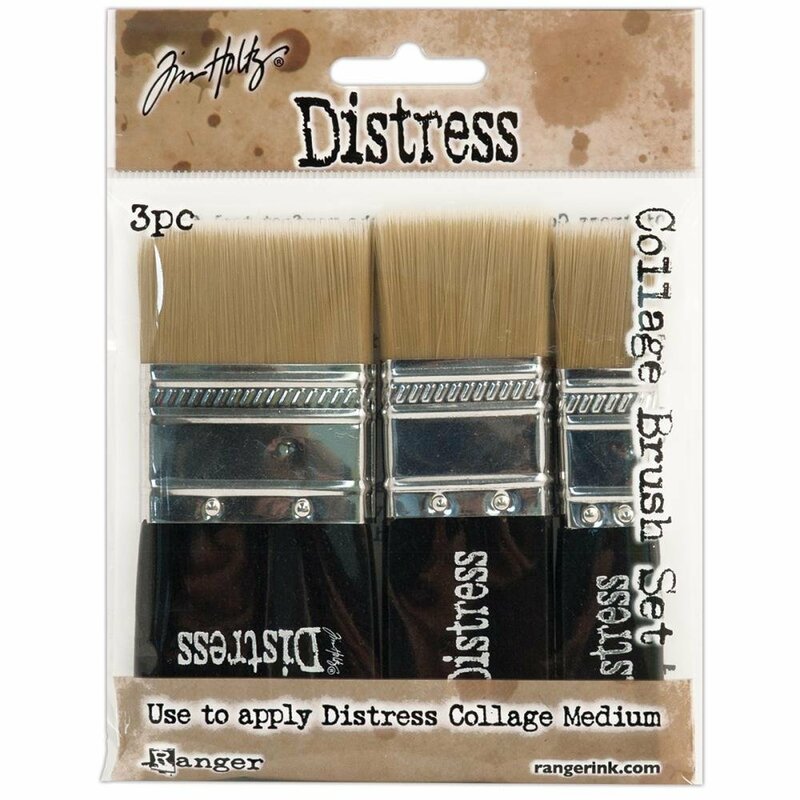 Tim Holtz Ranger-Distress Collage Brush Assortment. The short, soft bristles are ideal for applying smooth, even layers. Perfect for applying Distress Collage Medium (sold separately). This package contains one .75 inch brush, one 1.25 inch brush and one 1.75 inch brush. Imported.